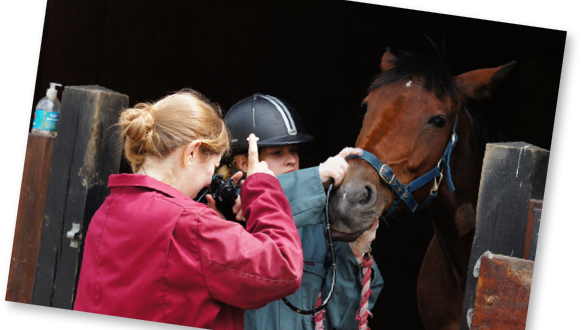 Horse owners are 8 times more likely to seek advice from a vet rather than a friend at times of an outbreak. 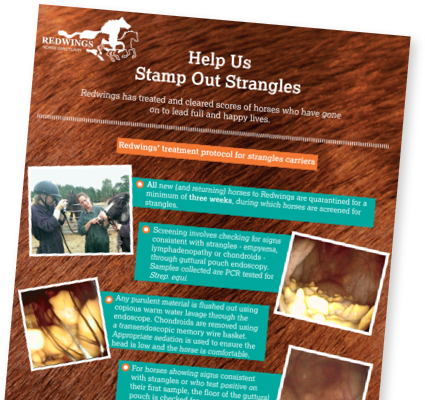 43% of strangles-positive horses arriving at Redwings are carriers – all treated successfully! Give horse owners confidence at times of an outbreak and share Redwings’ peer-reviewed strangles information pack. 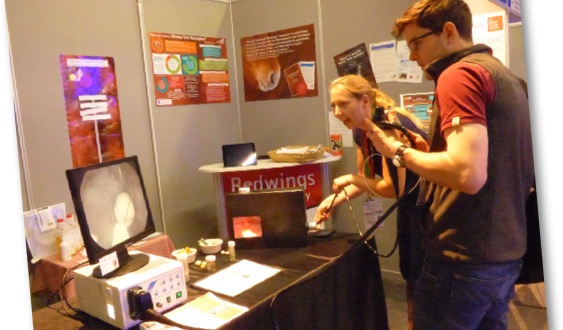 It's a free resource for vets to share with clients and has BEVA endorsement. 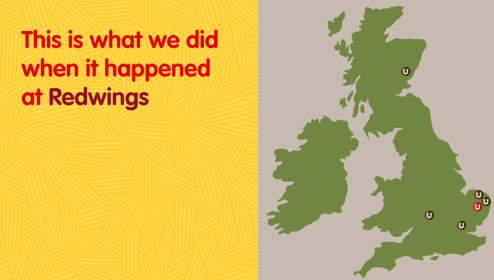 Complete your details and we’ll get up to 10 packs in the post to you, or download and share the online version here. 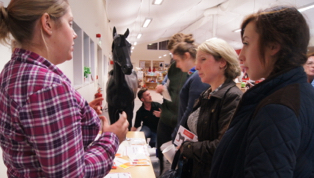 “I recently attended a very good talk by our equine vet. 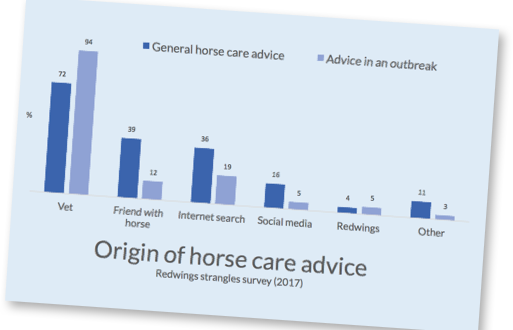 I found it really informative and it cleared up any misconceptions I had about strangles.” Respondent to Redwings' strangles survey. 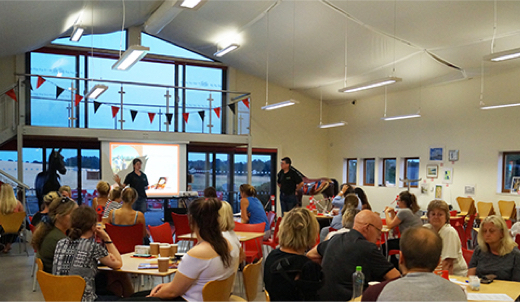 Client evenings are a great way of raising awareness of strangles and sharing advice on good biosecurity. 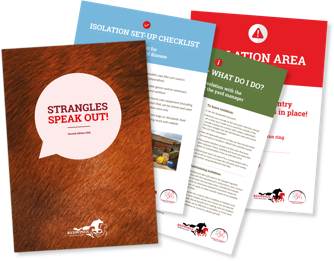 Download our strangles presentation to use or adapt for your own practice events. 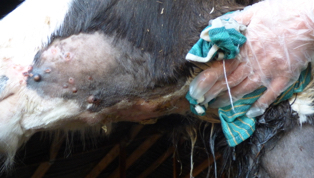 Horse owners are often unsure what guttural pouch endoscopy involves. 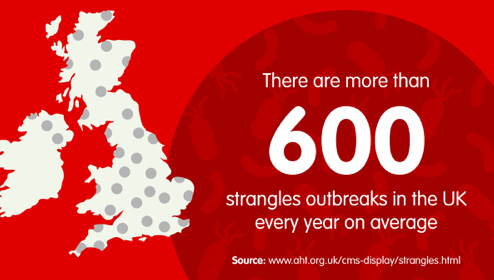 Use your practice Facebook page to share our practical guidance when there's an outbreak in your area and when your clients are receptive to advice and eager to take preventative steps. Our Strangles Carrier Protocol is used to treat all new arrivals who are found to asymptomatic carriers of the disease.